Yippeeing and Yahooing Down the Canyon! 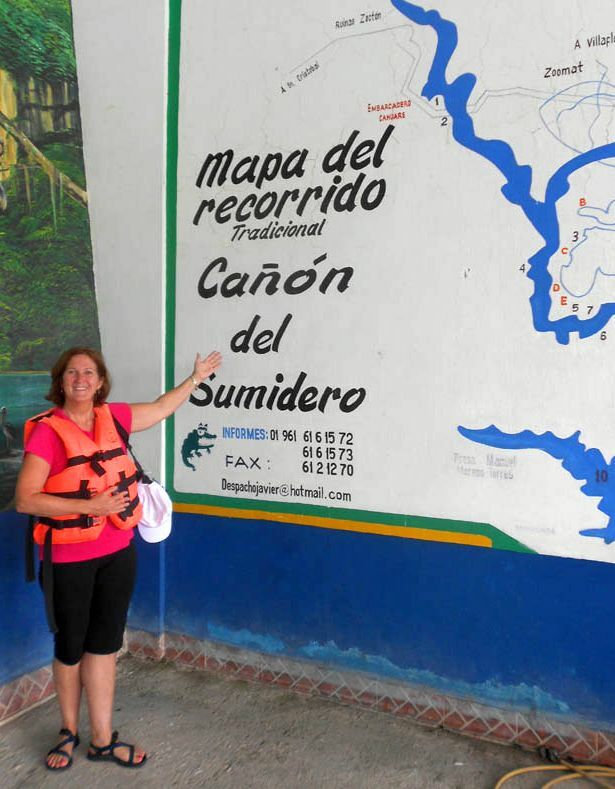 Excited to be on a field trip to Canon del Sumidero! After having spent several chilly, gray rainy days in succession in San Cristobal, I was overly excited at the promise that a lower altitude destination might hold. Just the prospect of having shorts and sandals on was enough to thrill me like a school kid on a field trip! 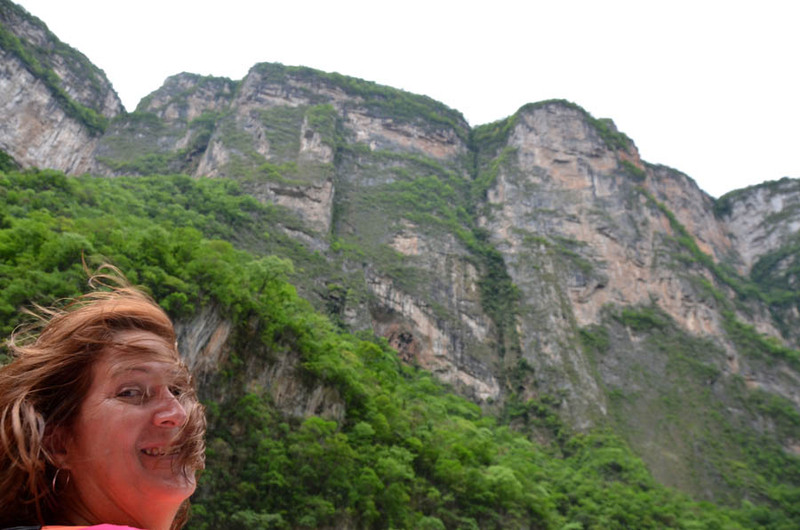 The trip to Sumidero Canyon National Park delivered all that and MORE! 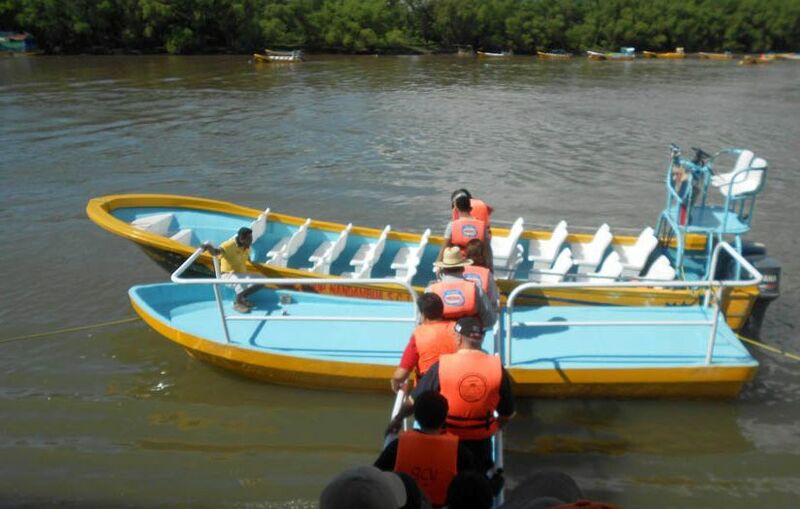 We once more opted for a tour, just for the ease of commuting straight to the boat launch in Chiapa de Corzo, and having the tour driver there waiting for us at the end. 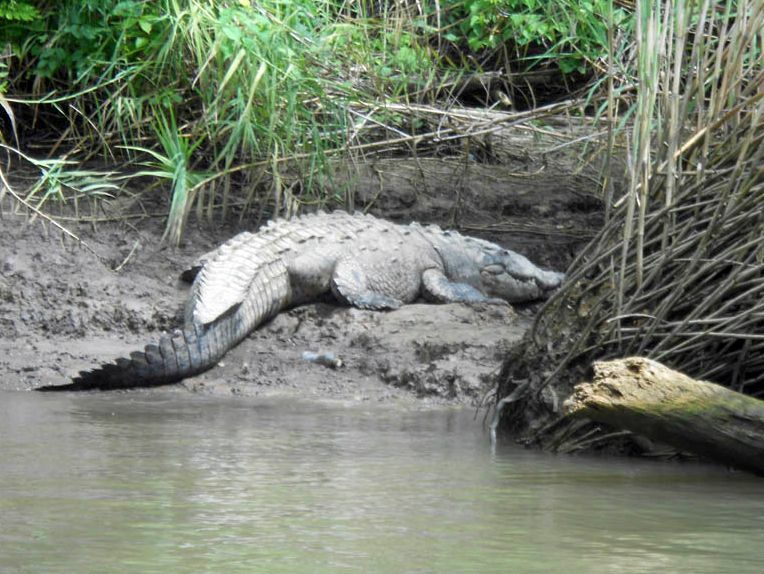 The cost for the tour was 280 MXN, or about $20 USD for the transfers and boat trip, including a one hour stop afterward in Chiapas de Corzo. From what I have seen thus far of the state of Chiapas, it is the most beautiful area in all of Mexico. It was an early morning struggle to force myself awake for the beautiful ride to Chiapas de Corzo, as we passed vast scenic overlooks of cloud-filled forests and fertile farmland. Once at the boat launch, we shed our layers of fleece jackets and long pants in exchange for sun hats, SPF, and a lovely dayglo orange life vest, then got in the queue to board the open-air motorboats where I got lucky and managed to score the front seat! 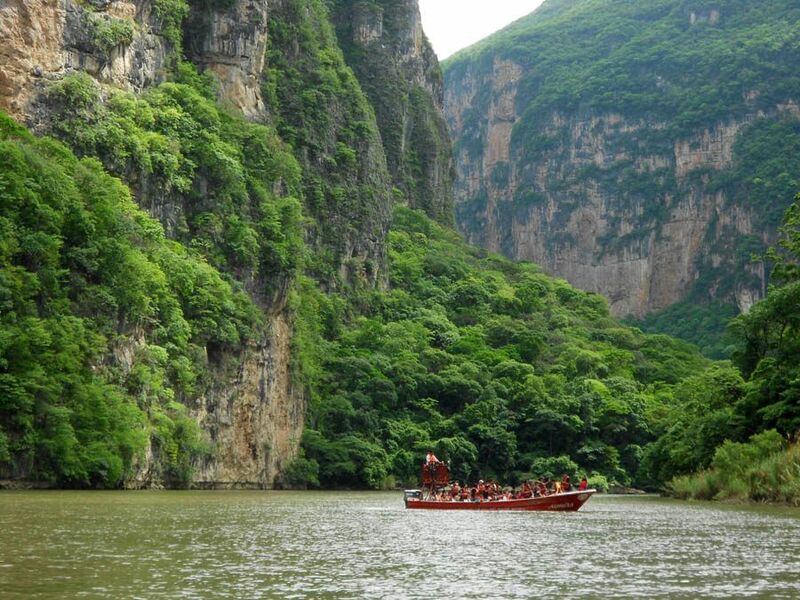 The Sumidero Canyon was formed much like the Grand Canyon, 35 million years ago with the Grijalva River eroding away what started out to be a crack in the earth’s crust. We weren’t far into the two hour boat ride until the sheer majestic canyon walls began to rise on both sides, at one point reaching a reported kilometer, over 3,000 feet. Can you spot the “mono” in the tree? The next challenge was to try and locate the “MONO!” being shouted from the back of the boat, when I had no idea what a “mono” was. 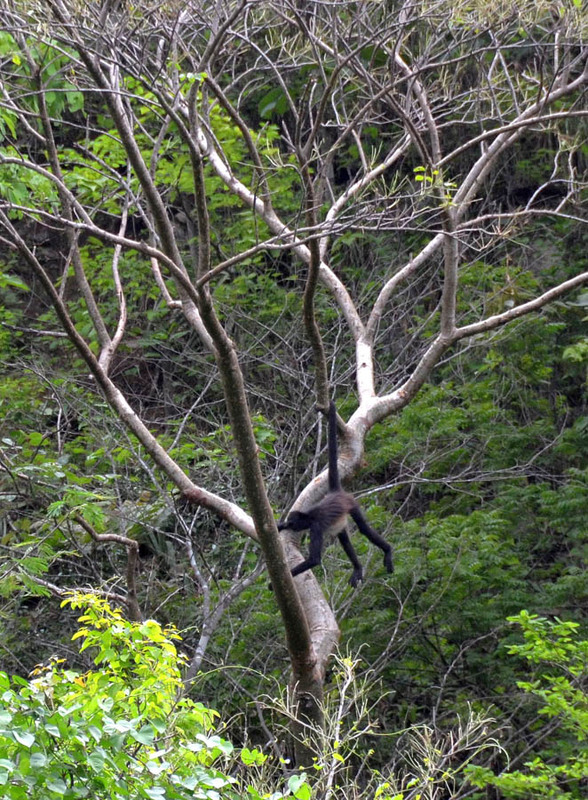 Thanks to Don’s nice telephoto translation, you will see the spider monkey swinging from the trees along the river bank. We slowed down to a putter and went in close for a view of the “Cueva de Colores,” or Cave of Colors, where minerals have formed shades of pink calcium crust on the ceiling of the cave. 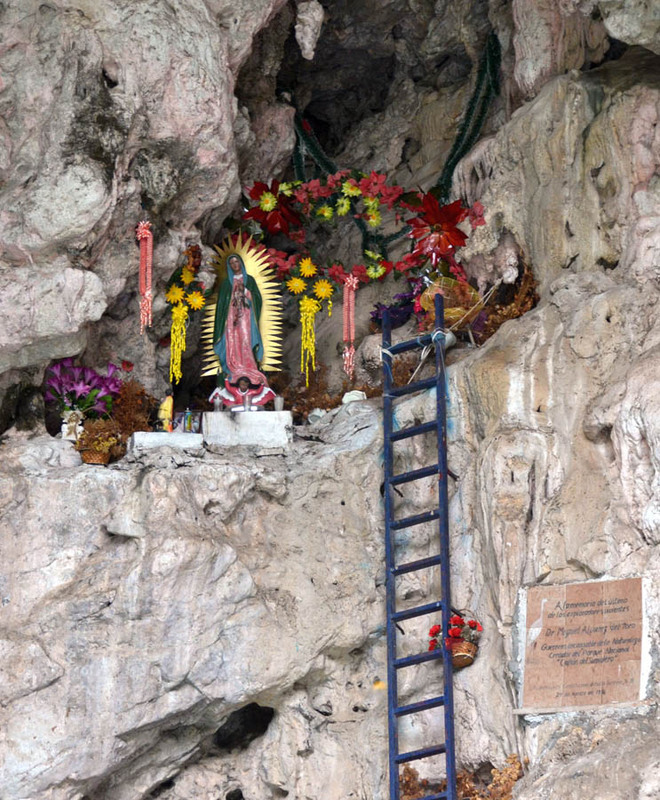 Deep inside the cave was a ladder leading up to a shrine of the Virgin of Guadalupe, where devotees had climbed up to leave offerings of flowers and candles. By far my favorite attraction aside from the canyon itself was “Arbol de Navidad” or Christmas Tree Falls. This waterfall had left incredible formations covered in green moss in the shape of a Christmas-tree. This was not Don’s first trip to the Canyon. 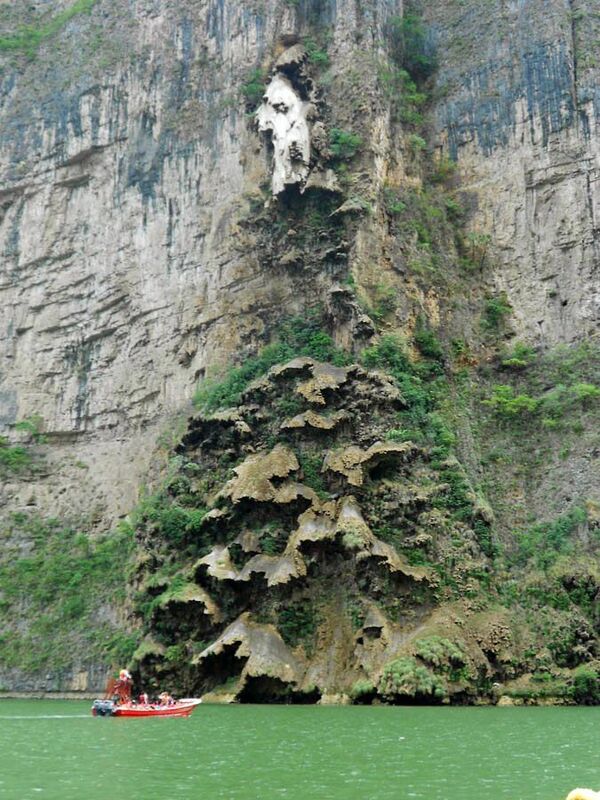 He said on a previous trip during the rainy season, water was dripping off the formations to resemble icicles. We reached our turn around point, the Chicoasen Dam all too soon, but at least we got to go back the same way and see the beautiful views from the other direction. The ride down the canyon had left us with quite an appetite, so we made good use of the hour lunch stop in Chiapas de Corzo by feasting on some messy but tasty Chicken Mole at Restaurante El Campanario. And of course a couple of ice cream bars before returning to the Land of Long Pants. 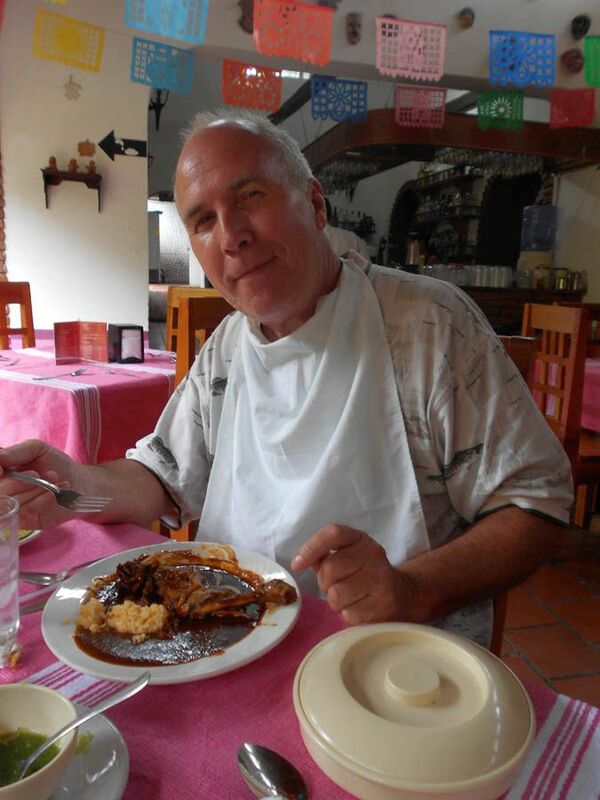 A bib is necessary for delicious Chicken Mole in Chiapa de Corzo! 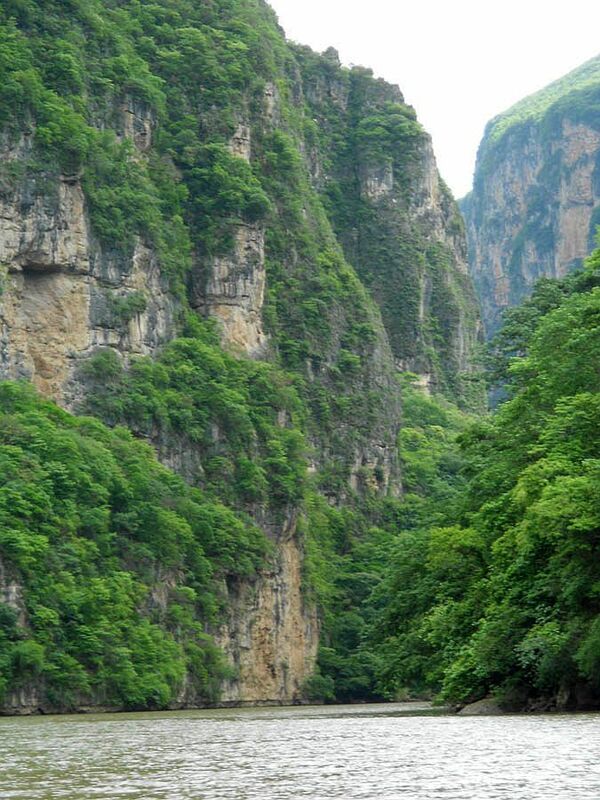 This entry was posted in Chiapa de Corzo, Mexico, National Parks and tagged Chiapa de Corzo, Sumidero Canyon by Suzanne. Bookmark the permalink. There is a GREAT little hotel with a swimming pool in Chiapas de Corzo, if you ever go back. Spend a couple of days there. That village is where they make the painted gourds for the dancers in the Guilequitza in Oaxaca, among other things. I too remember arriving there and being grateful for the warmth!